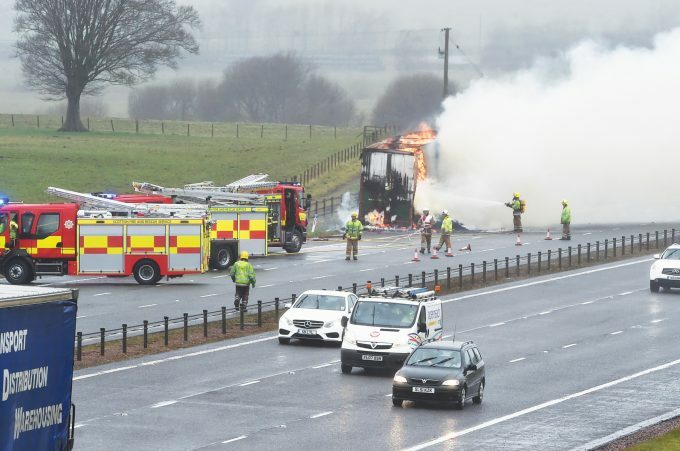 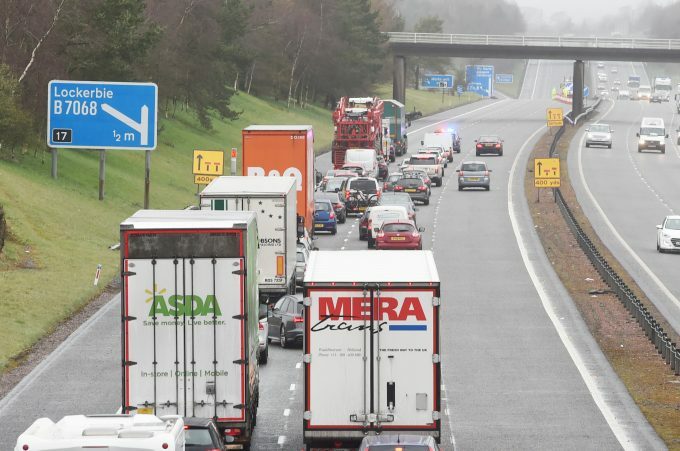 A TIMBER lorry fire caused tailbacks on the M74 near Lockerbie this morning. 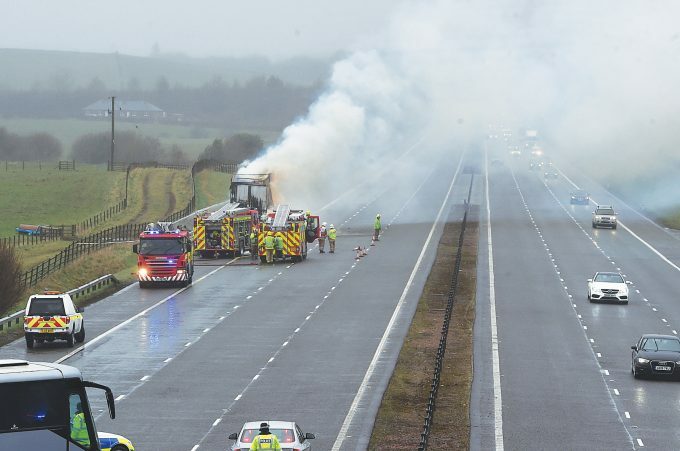 Emergency services rushed to the scene of the blaze, near the Steven’s Croft site, at about 10.30 am. 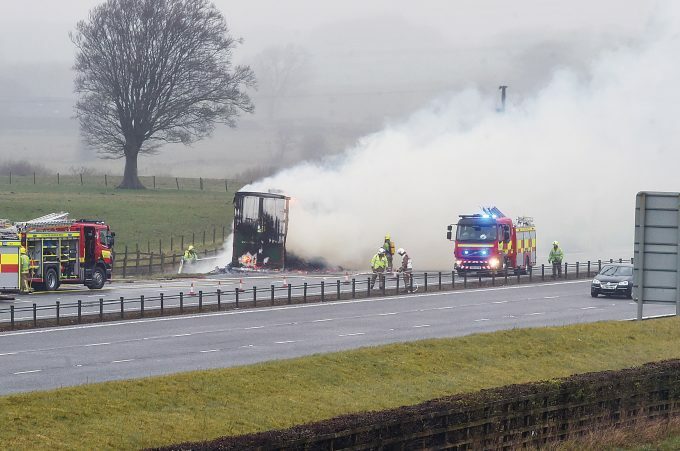 And they closed both north and south bound carriageways while the fire was brought under control. 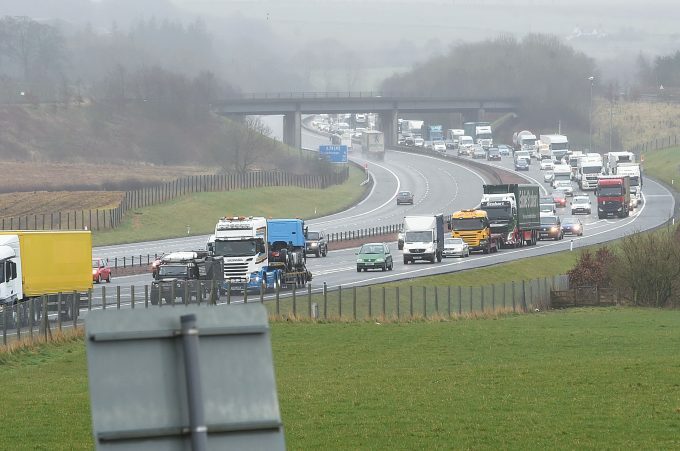 Reports of road congestion in the Lockerbie area and on the motorway were still rife at 4.40 pm.